Thanks to the generosity of the Gyori & Bitton families, our Shul has recently acquired a Memorial Wall. 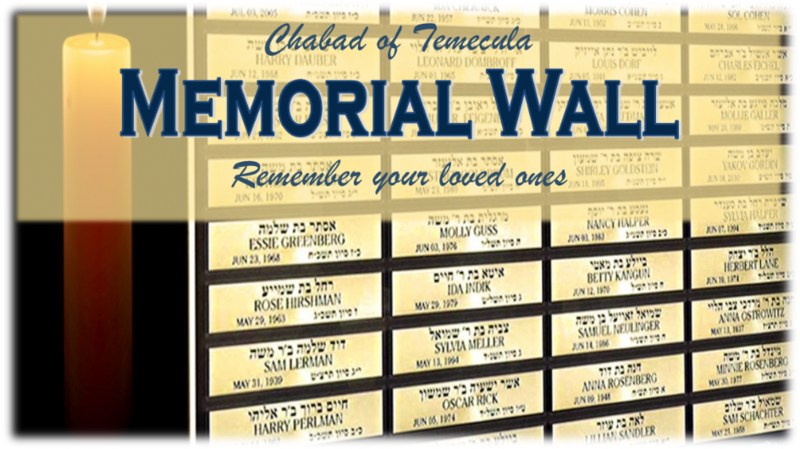 The magnificent Memorial Wall offers dedication opportunities for your loved ones ensuring that a yahrzeit is never missed. 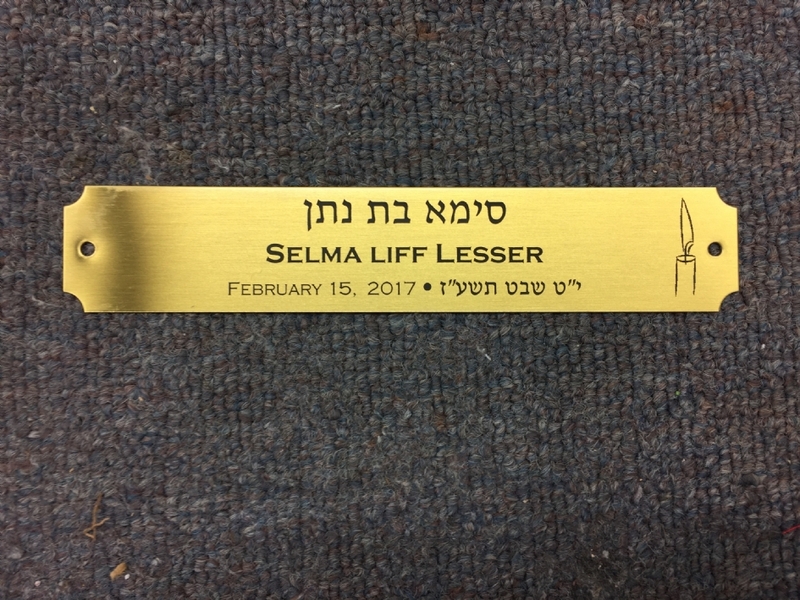 For $500, your loved one's name will be displayed on a plaque. Each year during the month of the yahrzeit the flame near your loved one's name will be lit and will flicker in remembrance. Line one: Deceased's Hebrew name & Father of deceased's Hebrew name.